What precisely makes a specific firm a place for you to build a career? It is a hard question that brings in a list of other questions. Can I fit there, can I learn, can I make a change in my career? It’s one thing to get a job offer, but deciding if the job is right for you is followed by a bunch of more doubts and thinkings. It is not uncommon that after the job is accepted and the honeymoon is over – you realize that you made a terrible mistake. Picking the wrong job can be costly to you and a company. So, by asking a well-chosen question, and if you do your homework well, you could make the right decision in the long run. 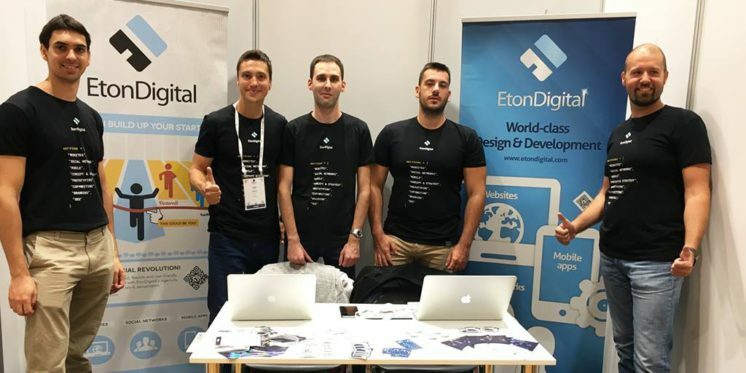 That’s why we are sharing with you a list of the most important questions you should think about before you apply for a job in EtonDigital. Plus, we are also sharing some valuable experience. If you are an experienced software developer, you will doubtless be challenged. Expect most adrenalizing tasks that require a thorough knowledge of using the technologies such as Drupal and Symfony. If you are at the beginning of your career, ask us for available mentorship or internship programs. We are always willing to teach. These days many companies have some catchy marketing and an inspirational statement that seems attractive. But it’s for you to find out how far they live up to them. Are they open? Do the company invest in professional skills? Are they utterly dedicated merely to clients and product delivery? Do they challenge themselves to do better? What are their company culture and the values they respect? This is the questions you need to ask to understand the company culture. To get to know us better and explore our values, visit our blog and social media to understand how we create our company culture and nurture our values. Could you perform some progress while doing on projects? Don’t hesitate to ask a question about our work style, what good results look like and how we solve problems. Ask for courses and workshops we offer. Is there enough space to make any achievement regarding your career? How can we help you to advance your knowledge and experience? Do we offer enough extra activities regarding fun and traveling? Maybe it’s not a vital factor when seeking for the job, but it can’t hurt if there are some lounge rooms, team buildings travelings and other relaxing activities besides work. If you still haven’t got your head around, we did with some questioning among our colleagues to discover what they pursued when they applied for employment in Eton digital. Maybe it will help you decide it as well. Complex, multifunctional websites, and social networks were primary reasons why experienced front-enders and software developers preferred to be part of our company. From the start, they had been ready to take up most perplexed tasks. Through the years, their initiative and extraordinary crafting skills in making remarkable functionalities and good user experience draw others to work with them. Satisfaction of beaten challenge and gained knowledge are compelling after every project, they added. And they call for likewise brave and experienced engineers to join them. Every programmer or front-end developer – the enthusiast of Drupal, Symfony, Angular or React can equally join the team and start the challenge of constant learning. You have to keep an eye on IT scene constantly or you will be snowed under; they suggested. DrupalCon, Symphony Live and Google Code Day were cited as the most significant support in this unstoppable waves of current turns in IT realm. Our team on DrupalCon in Vienna 2017. Every year, our teams gather forces and devote a week to these events, mingling and lurking for knowledge. Read what we have discovered out during our stay in Milano where we had to engage in Digital design days. It is not hard to grow into an expert in a field, they said, giving lectures and conference speakings. As they tell us, the point is going slowly and with company’s internal educational courses and training, every single employee can easily progress even more and help new colleagues as well. Which projects make them experts as they are? The previous year is slightly behind us and we are proud how we have spent last 12 months. We created some eye-catching websites and trendsetting concepts of social networks for various industries. It was a big time for each team in our company. This year we have met various communities and startups and helped them to contribute to the industry. It was a small victory for every single team; they said. Vervoe – creating this one of the kind recruiting software show us how we can change an industry. MechaniCan – building a social network that can be intuitive and easy to use even for non-internet persons was the user-friendly challenge of a kind. As a result, we made the social networking platform for enthusiasts, professionals, and businesses of all things mechanical. CoinaPhoto – we continued with this exciting photo community where we add more power to its features. Buildoo – A home building, and renovation community, a new idea and a new market. We love bringing alive such innovative ideas. Ventlounge – A peer counseling network for people to improve relationships, our team had the challenge to make these sensible interactions user-friendly. Nissan – We were delighted to intensify experience with Nissan vehicles on all devices to be more attractive and user-friendly. Apart from our projects, we continued the work on our startup OrganicNet. Moreover, we have celebrated its first birthday and received another great award, Aurea Innovation Award, which is an award for businesses that drive innovation. Where is fun on this list? In everyday Skype conversations, around the open working space and every Friday, while we eat some homemade sweets. If we aren’t buckled down with projects, we enjoy traveling, doing sports and team group activities such as football in the IT league, billiard, and archery. 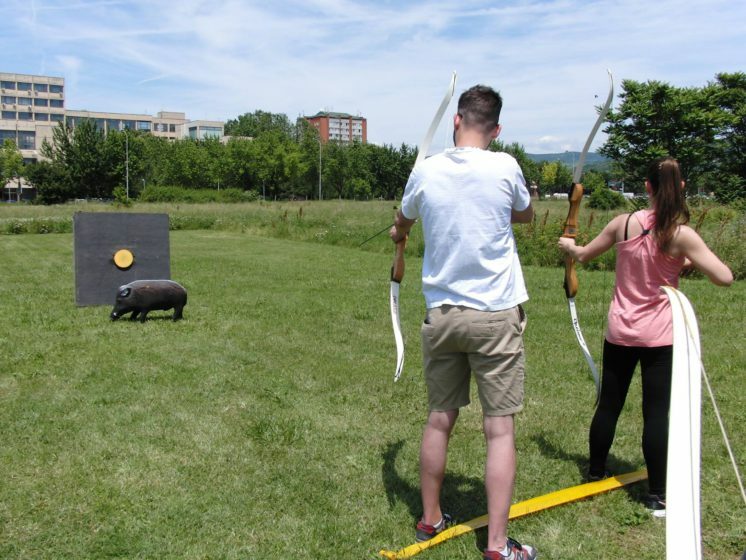 These activities are important for our company culture. We are proud of our contribution to the local IT community and various local initiatives, and we are always trying to bring back to the community. We supported IT relay race and gathered funds for children in need. Team buildings are also popular events around here and we mind nurturing team spirit. We notice that gathering in nature or elsewhere is essential for us, especially for enhancing the workflow among the teams. 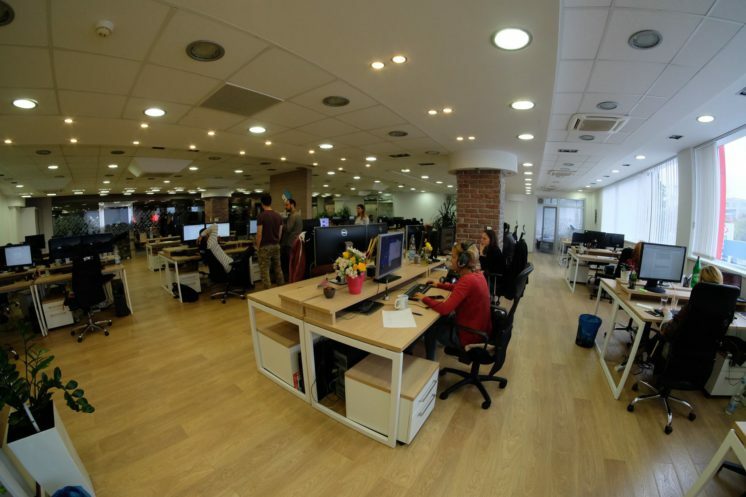 Find out how we organize our team buildings. As you can see, choosing a company is not a plain process, involves confidence, and acknowledgment in how much you know and worth. Among all, it depends on your fine judgments and homework you did. So take a list of your pointers. Ask us about ethics, values, team dynamic, even a management style, and try to understand the company culture. That will make your path to success much easier.